Our personalised gifts make perfect Baby Shower presents. A Baby Shower is when a soon-to-be mother deserves to be “showered” with gifts! Baby Shower is a one in a lifetime opportunity to give the perfect present to the newborn-to-be! Being original is key to make your gift unforgettable! 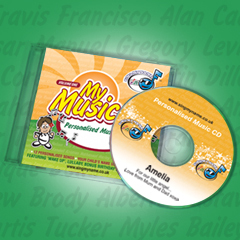 Our personalised CDs and Music Players are perfect gifts for newborns! Original and unique, they are a safe choice to be the best gift on every Baby Shower! 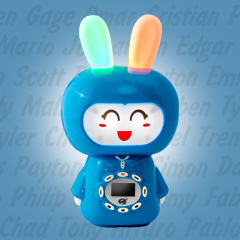 Our personalised Music Player sings 12 personalised songs. It serves as a night lamp, it’s rechargeable, it has a microphone that allows you to record a message or your own stories and it can hold over a thousand of your own songs! All these functionalities make them perfect for a newborn and a wonderful option for a Baby Shower present!